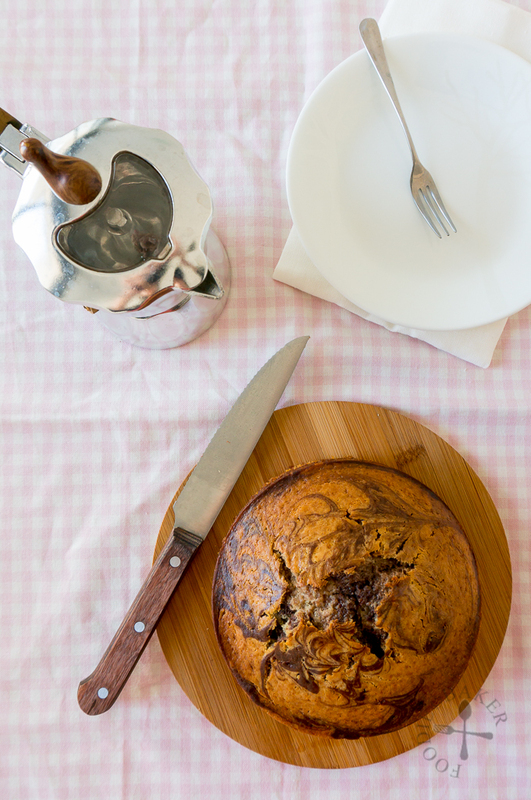 After making my super easy one-bowl and no-mixer lemon yogurt cake, I was so craving for a chocolate version so I tweaked the base recipe to create this chocolate marble yogurt cake. 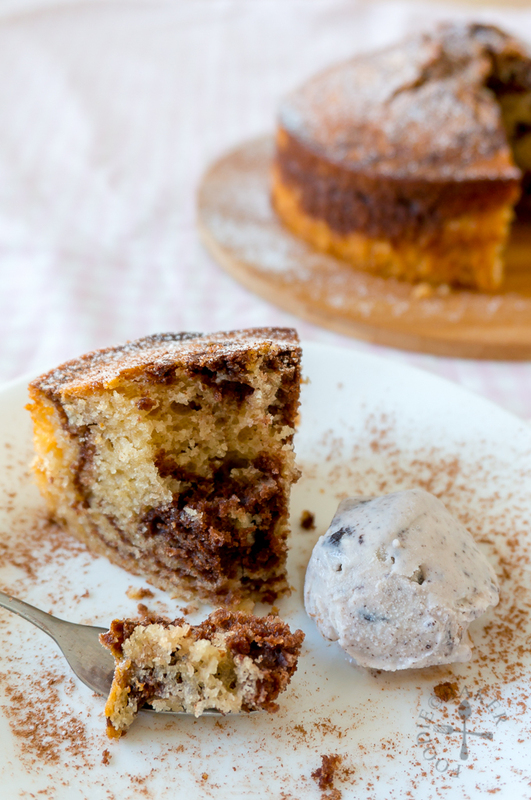 Light, fluffy, moist and delicious, though this cake is no longer a one-bowl recipe as I need an additional one for the chocolate batter, it’s still extremely easy to make it, and perhaps even easier to finish it, because who doesn’t love chocolate and cake together? I omitted the lemon zest and lemon juice from the recipe, swapped in a little brown sugar and mixed some of the batter with a cocoa powder and water paste. 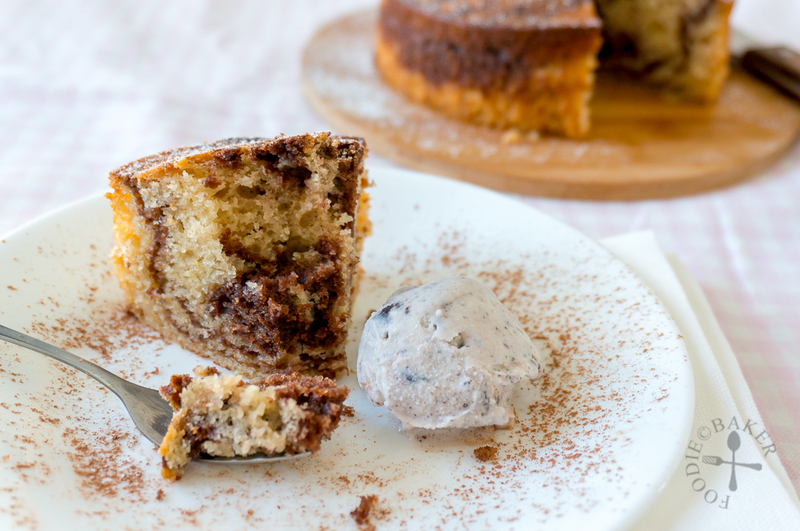 It’s not as rich and buttery as the traditional marble butter cake, so if you are looking for something like that, this recipe is not for you. I love this lighter version as I can eat more without feeling as guilty and having a slice with a scoop of ice cream is really pure bliss! Now I can’t wait to head back to Singapore to buy back some matcha to make a matcha variation of this cake! In the meantime, let me know if you have any other flavours for me to explore! 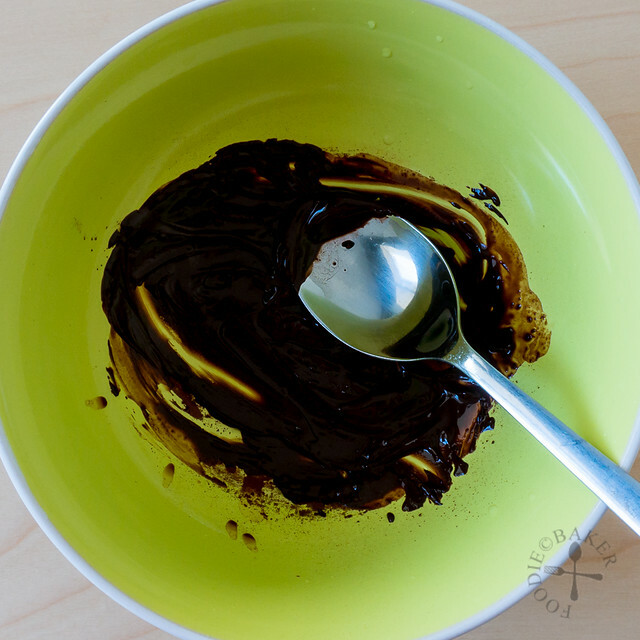 1) In a small bowl, stir cocoa powder and hot water together until cocoa has dissolved. 2) Measure sugar, yogurt, oil, egg and vanilla directly into a large mixing bowl and whisk together until incorporated. 3) Sift in flour, baking powder, baking soda and salt. 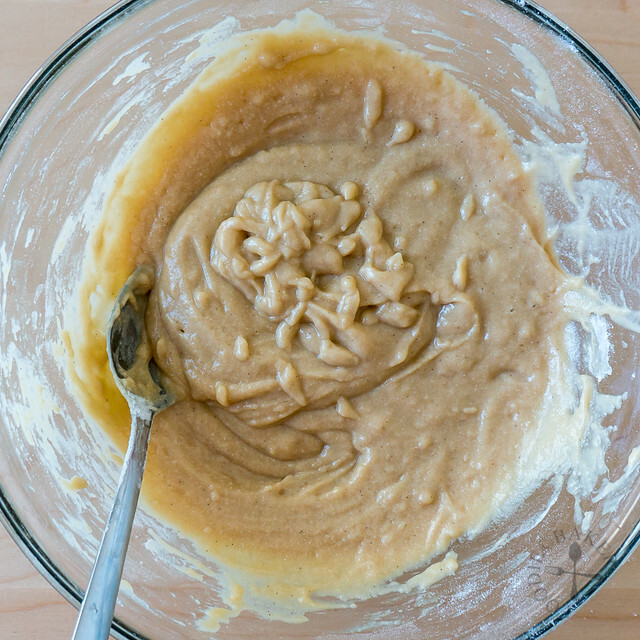 4) Whisk in dry mixture gently until just incorporated. Use a spatula and scrape the sides and bottom of the mixing bowl to make sure all the flour mixture is incorporated. 5) Scoop 1/3 of the cake batter into the small bowl of cocoa mixture. 6) Stir gently until well-mixed. 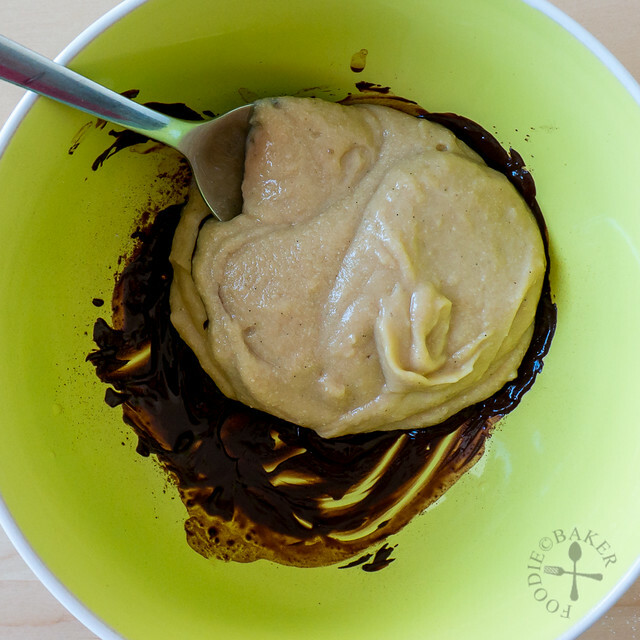 7) Spoon 2 spoonfuls of vanilla cake batter into the prepared cake tin then spoon in 1 spoonful of chocolate cake batter. Repeat until all the batter has been used up. 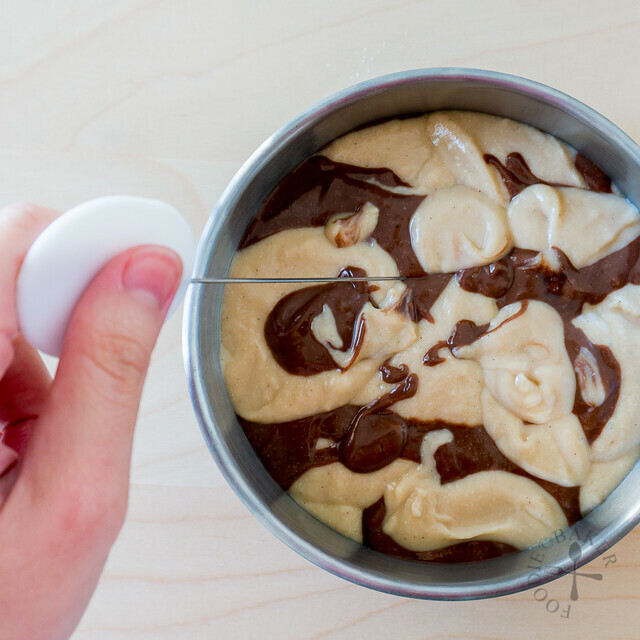 8) Insert a skewer and swirl through the batter a few times (without removing the skewer until the end) to create a marble effect. 9) Bake for 40 to 45 minutes until a skewer inserted into the center of the cake comes out clean. 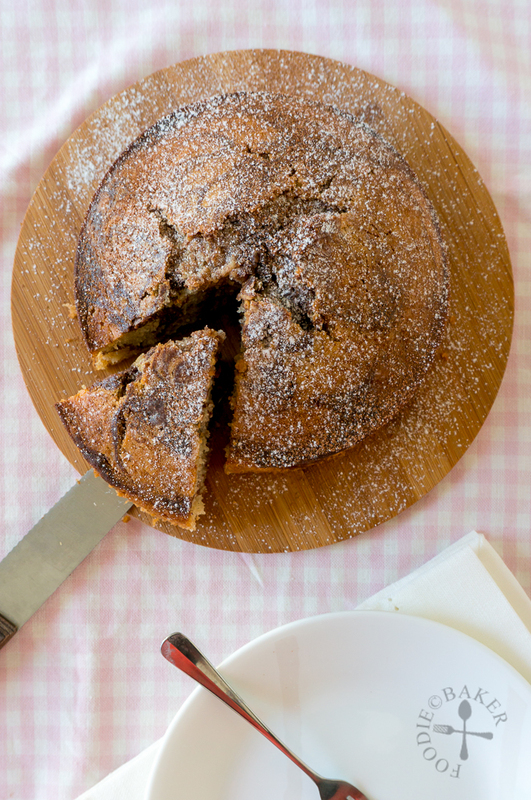 Double the recipe to bake the cake in a loaf tin (8 x 4-inch) or a 7-inch round tin. Preheat oven to 175 degrees Celsius. Grease a 5-inch cake tin and line the bottom with baking parchment. Set aside. In a small bowl, stir cocoa powder and hot water together until cocoa has dissolved. Set aside. 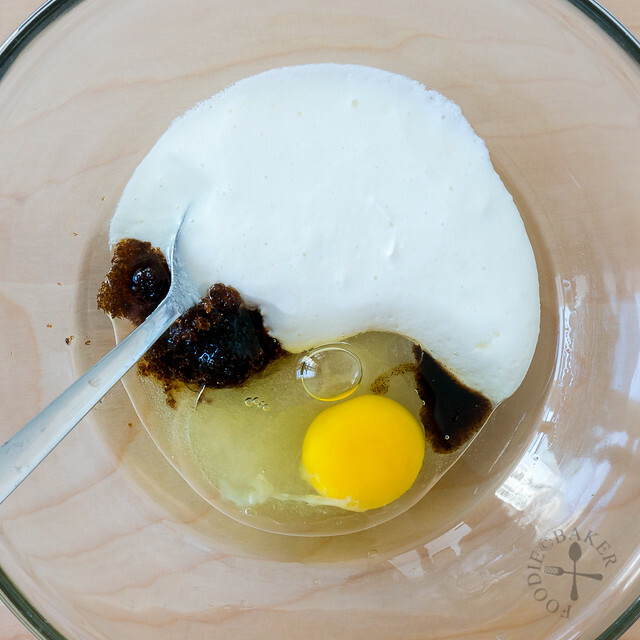 Measure sugar, yogurt, oil, egg and vanilla directly into a large mixing bowl and whisk together until incorporated. Sift in flour, baking powder, baking soda and salt and whisk in gently until just incorporated. 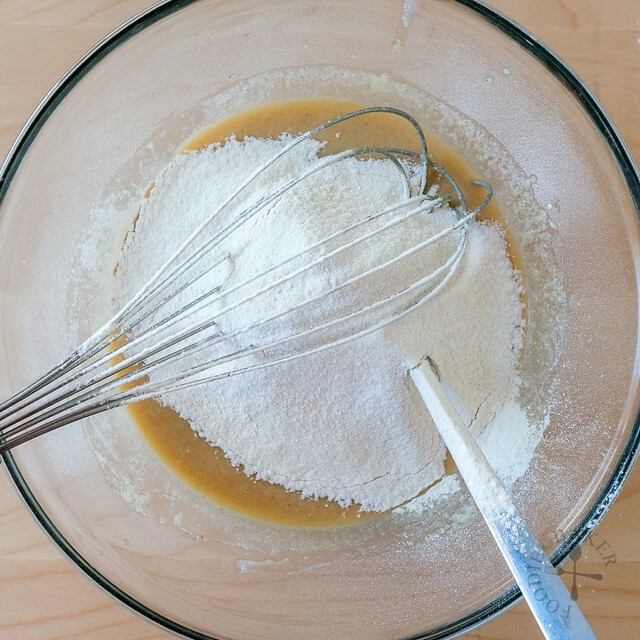 Use a spatula and scrape the sides and bottom of the mixing bowl to make sure all the flour mixture is incorporated. 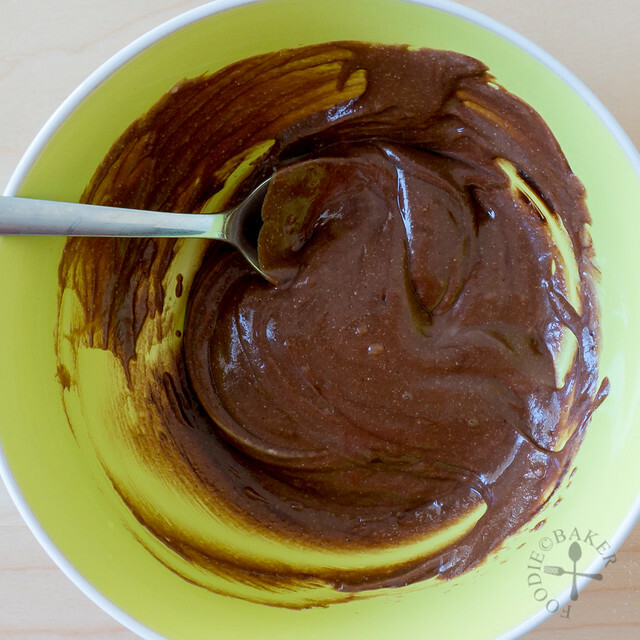 Scoop ⅓ of the cake batter into the small bowl of cocoa mixture and stir gently until well-mixed. 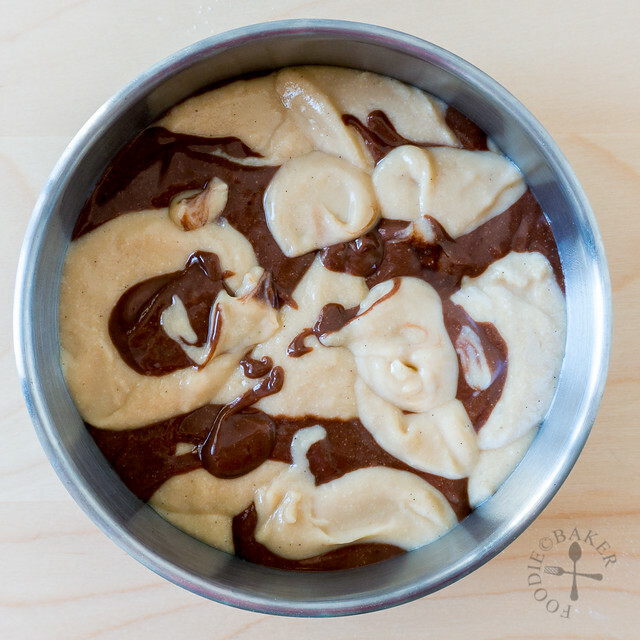 Spoon 2 spoonfuls of vanilla cake batter into the prepared cake tin then spoon in 1 spoonful of chocolate cake batter. Repeat until all the batter has been used up. 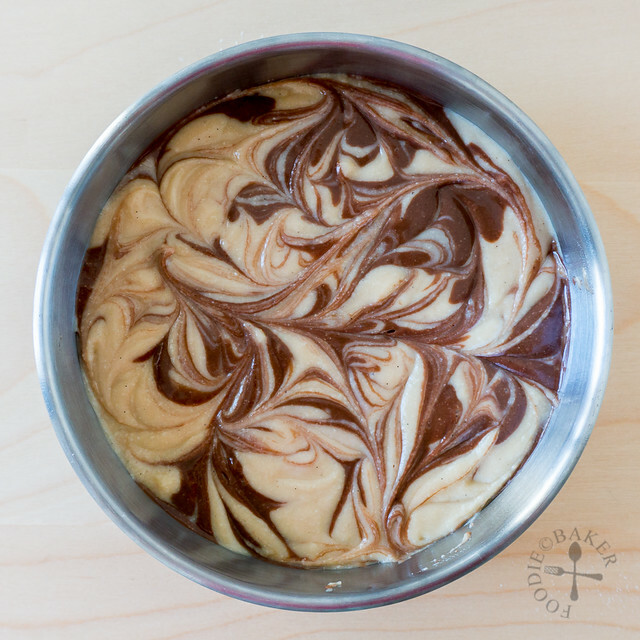 Insert a skewer and swirl through the batter a few times (without removing the skewer until the end) to create a marble effect. Bake for 40 to 45 minutes until a skewer inserted into the center of the cake comes out clean. If the top is browning too fast, tent it with a piece of aluminum foil. Place the cake tin on a wire rack and let the cake cool completely. Run a spatula along the sides of the cake tin and turn out the cake. Peel off the baking parchment and turn the cake right side up and transfer to a serving dish. Dust with icing sugar and cocoa powder if desired and serve. - Make sure the ingredients are at room temperature before mixing them together - take them out of the refrigerator and place on the table counter for 30 minutes before using. - For the yogurt, you can use Greek or non-Greek, plain or flavoured, full-fat or low-fat - it's entirely up to you. - For the oil, you can use extra-virgin olive oil, canola oil, vegetable oil, coconut oil or any nut oil. Can I make it with honey instead of sugar? Hi no you won’t be able to make it with honey because of the water content in the honey. Even if the honey is crystallized? Hi Kali, I haven’t used crystallized honey to bake before so I’m not sure how it will turn out. If you managed to try, do let me know! Yum yum! Look how fluffy and moist this cake is! It’s so beautiful! Love this cake look beautiful!!!!! I love the marbling in this cake, it looks so beautiful! I’m always a fan of easy recipes that only take one or two bowls during the holidays when it seems everything is rushed. Thanks for sharing Jasline! 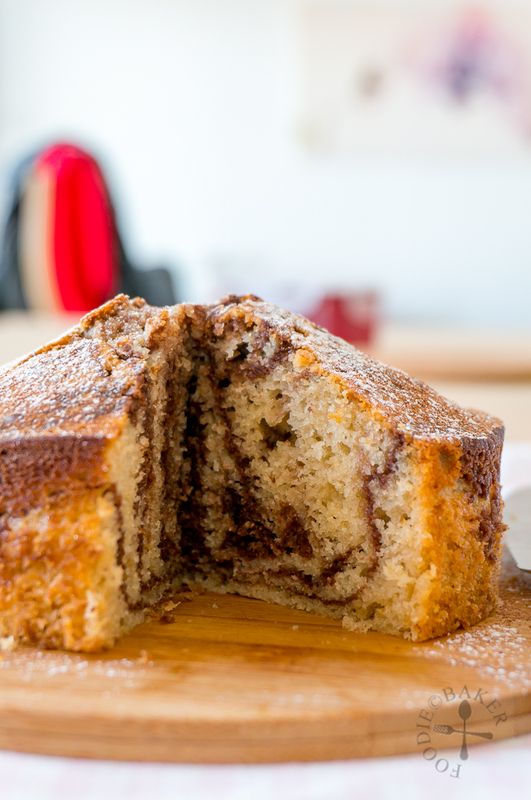 Yeah like this soft and fluffy marble cake …. no mixer required less washing to do … (ha ha lazy me). Thanks for sharing !